So here is another IM client Fring that is designed for mobile phones. We have already reviewed Talkonut, Nimbuzz, eBuddy and Migg33. However, Fring has something different to offer. Apart from the support for a wide variety of IM services, Fring includes Twitter, Facebook, Orkut Last.fm and other social networking modules too. 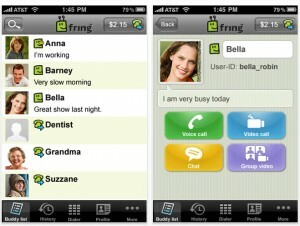 Fring is one of the first applications that integrated Skype functionality in their mobile applications. You can make calls to your Fring, Google talk, and Skype friends using inbuilt VOIP feature. Download it after the break. Fring is the finest innovators in mobile VOIP and instant messaging. 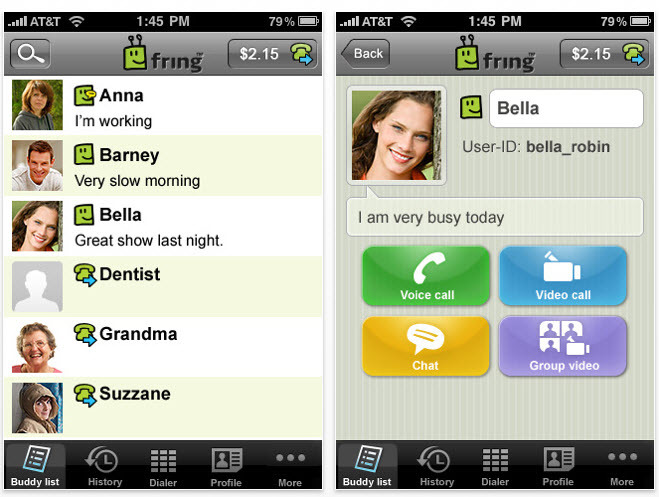 The features of the Fring mobile version 5.0 is given below. The application is available in iOS, Android and Symbian platforms. Please note that some features are limited to certain mobile operating systems. Chat with Google Talk, Windows Live, Yahoo Messenger, all in one single application. Make free video or audio calls (3G, 4G or WiFi required) to other friends using the Fring app. Call land line or mobile phones at cheap rates using Fring out credits. Download Fring Mobile for iOS here, Android here, Nokia here. Update: It seems that Fring stopped supporting Twitter, Facebook, Skype etc on their application. You can use Nimbuzz or official Skype mobile to enable this functionality.